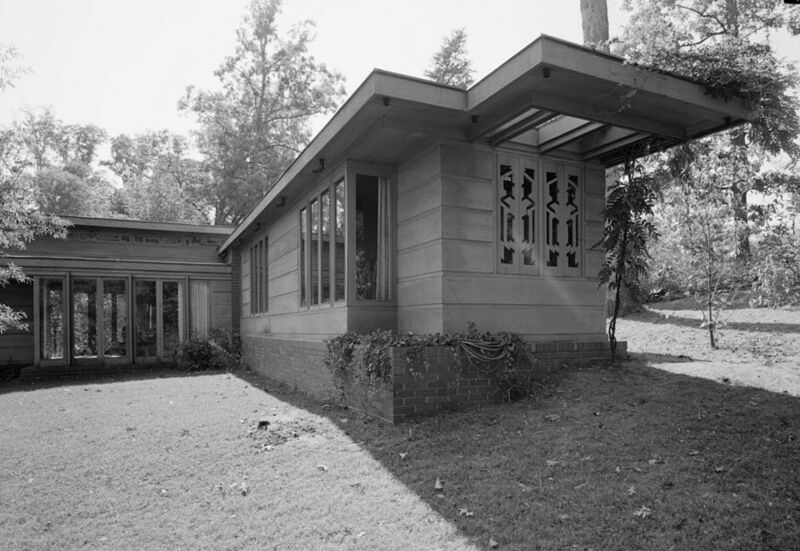 June, 8th marks the 150th anniversary of Frank Lloyd Wright‘s birthday. 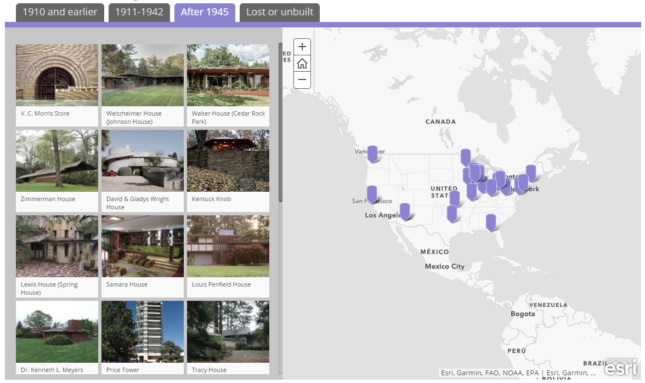 To celebrate the National Trust for Historic Preservation has launched an interactive map charting many of Wright’s projects across the country. 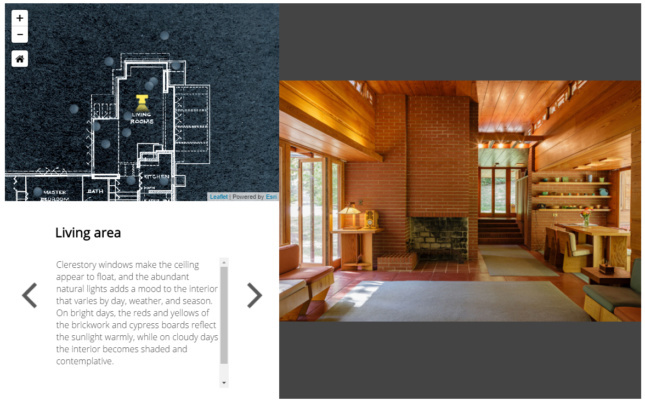 Along with the map a virtual tour of Wright’s Pope-Leighey House in Alexandria, Virginia, was also launched. The National Trust worked with the geographic mapping company ESRI to compile the interactive resources. The map encompasses Wright’s lengthy career, from this work on the Jones Unity Chapel in 1886 through many of his unbuilt visions. Covering more than 60 projects, the map highlights the most famous of Wright’s estimated 400 built works. Each entry includes images and links to additional information. Along with the map and tour, the National Trust has also posted a short quiz that matches your personality with one of Wright’s eccentric houses. I was matched with Falling Water, which somehow makes sense. The interactive map from the National Trust for Historic Preservation map can be found here.